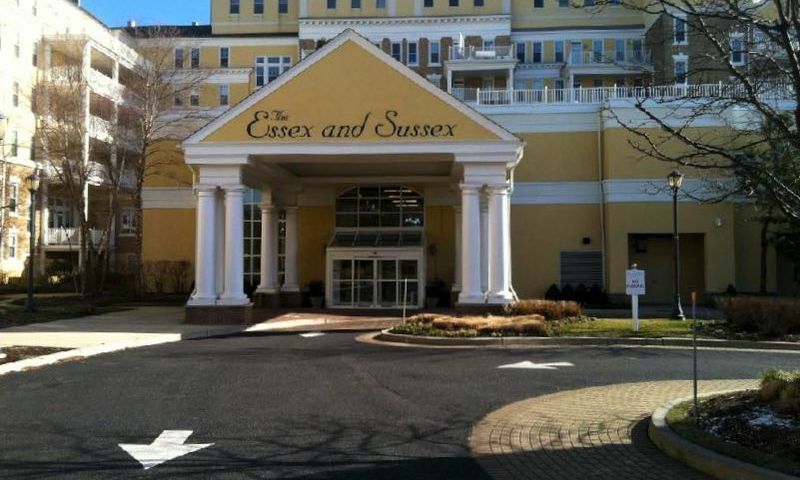 The Essex and Sussex is a beautiful 55+ condominium community in Spring Lake, New Jersey. Residents enjoy living luxuriously in a refurbished hotel that is straddled along the Atlantic Ocean that offers unparalleled views, incredible amenities, and some of the best low-maintenance living an active adult homebuyer could desire. Walking through the grand front entrance, residents are greeted with a marble-lined lobby in an elegant building that recalls an oceanfront resort aesthetic. The Essex and Sussex is perfect for 55+ homebuyers looking for a unique and luxurious active adult community. This community is located in Monmouth County, New Jersey. Ocean-loving homeowners will love that the beach is just across the street. The Spring Lake and the Fairway Mews Golf Clubs are just down the street, as are several parks, Spring Lake, and several stores for all of your everyday needs. This active adult community offers top quality living in one of the most desirable areas in Central New Jersey. The Essex and Sussex gives residents all they need to stay socially busy and physically active. Indoors, this 55+ condominium building offers a fitness center for breaking a sweat as well as card, game, and billiards rooms for some friendly competition with neighbors. There is also an on-site bistro, a bar and cocktail lounge, and a private and public dining room, perfectly equipped for enjoying an evening with friends or a quiet dinner with your spouse. If residents are seeking some alone time, they can check out the library to get lost in a new favorite book, the beauty salon for some pampering, and a multimedia theater for relaxing with a movie. Outdoors, residents enjoy a patio and porches, perfect for enjoying those warm summer days. Since the community has access to the beach, residents are never far from an opportunity to make the most out of coastal living. This 55+ community is home to 165 condominium units in one building available on a resale-only basis. These units range in size from approximately 420 to 700 square feet and generally feature one bedroom, one bathroom, and reserved parking. These units combine the ease of condominium living with the luxury of a hotel room by offering marble baths, crown molding, granite countertops, and private outdoor decks, some of which provide unobstructed views of the Atlantic Ocean. All units also come with a butler's kitchen that has a microwave, sink, and counter space. Living within this community means enjoying the best of low-maintenance living. The monthly homeowners' association fee includes common area maintenance, snow removal, trash removal, water, valet parking, concierge service, laundry facilities, and storage lockers. For an optional additional fee, homeowners can enjoy a meal plan at the on-site bistro. Central to the lifestyle of the community is its resort-style living, where residents become quick friends and enjoy the luxurious environment that is their home. With a classical and elegant yet casual setting, this community is perfect for active adults who want to live in a resort with like-minded neighbors but never have to check out. The Essex and Sussex is located in Monmouth County, New Jersey. The community is located off Ocean Avenue between the Atlantic Ocean and Spring Lake. Within proximity are several golf courses, beautiful parks, and shopping centers for your daily needs. For farther travel, the community is about 50 miles away from Trenton-Mercer Airport and Interstate 95 is approximately eight miles away. Just a half mile away is Third Avenue, home to Spring Lake's beautiful and historic downtown district. Third Avenue features boutique shopping, terrific restaurants, and a picturesque walk through one of the area's most breathtaking residential areas. Residents can also enjoy fine dining with oceanfront views along Ocean Avenue or venture inland for a performance at the Spring Lake Community Theater. For an exceptional active adult community in Spring Lake, New Jersey, look no further than The Essex and Sussex. Check back soon for more information on the lifestyle in The Essex and Sussex. The Essex & Sussex is home to 165 condominium units available on a resale-only basis. These units range in size from approximately 420 to 700 square feet and generally feature one bedroom, one bathroom, and garage parking. These units combine the ease of condominium living with the luxury of a hotel room by offering marble baths, crown molding, granite countertops, and private outdoor decks, some of which provide incredible views of the Atlantic Ocean. Please Note: Floor plans are not available at this time. 55places.com is not affiliated with the developer(s) or homeowners association of The Essex and Sussex. The information you submit is distributed to a 55places.com Partner Agent, who is a licensed real estate agent. The information regarding The Essex and Sussex has not been verified or approved by the developer or homeowners association. Please verify all information prior to purchasing. 55places.com is not responsible for any errors regarding the information displayed on this website.